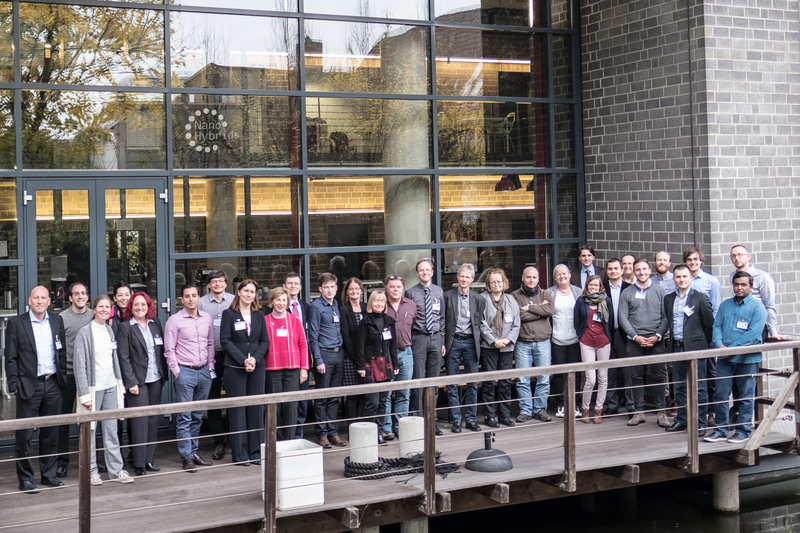 Interim results after three years of project duration: The EU research project NanoHybrids will meet on 14 and 15 November 2018 for its project meeting in Hamburg. Aerogels and their pilot scale production for industrial applications are at the heart of the project. With their nanoporous structure, aerogels are the lightest solids in the world and are therefore suitable, for example, for the thermal insulation of buildings or pipelines. The potential of this material class is far from exhausted, however, and industrial-scale commercial production is still in its infancy. This is where NanoHybrids started three years ago. 12 partners from international universities, research institutions and companies led by Professor Dr.-Ing. 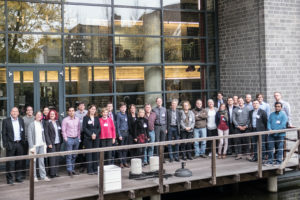 Irina Smirnova, coordinator of the project and director of the Institute of Thermal Process Engineering at the TUHH, began in November 2015 with the development of aerogels from new starting materials, which offer a wider range of desirable properties and thus enable new fields of application. Bio-based alginate aerogels are of interest to the food industry; chitosan aerogels or cellulose aerogels use residual biomass and contribute to the circular economy. The further development of polyurethane as a starting material with innovative chemical synthesis methods also offers the potential for new fields of application. In the first 18 months, new methods for producing organic and hybrid aerogel particles were developed and produced on a laboratory scale. By optimizing the production processes, it was possible to produce particle and even spherical aerogels in addition to the customary monolithic aerogels. In the meantime, a pilot plant for producing aerogels has been built in the technology centre at Hamburg University of Technology (TUHH). This enables TUHH to dry aerogels under increased pressure on a scale of up to 50 litres per application. The plant makes it possible to produce prototype aerogels in the form of spherical particles of the desired size for direct industrial tests for the first time. New insights into the drying of the aerogels on a pilot scale, a crucial process step, have been gained. Aerogels can now be produced on a scheduled basis in larger quantities and be made available to the participating industrial partners for application tests. The experiments in the laboratory and pilot scale are supported by modeling the process with the aim of optimizing process conditions. Numerous publications of the consortium, such as a review on the preparation of polysaccharide-based aerogel particles (Ganesan, K. et al., Materials 2018, 11 (11), 2144, https://doi.org/10.3390/ma11112144), allow aerogel scientists to build further research on the knowledge gained by NanoHybrids. That this arouses great interest is shown by the fact that another review by Jun.-Prof. Dr. Pavel Gurikov and Prof. Dr.-Ing. Irina Smirnova (I. Smirnova and P. Gurikov, J. Supercrit. Fluids, 2018 (134), 228-233) is among the most downloaded articles in the prestigious Journal of Supercritical Fluids.